It is almost 10 years since Madeleine McCann went missing from a holiday apartment in the Portuguese village of Praia da Luz. The three-year-old is believed to have been abducted from her room while her parents, Kate and Gerry, were eating at a nearby tapas restaurant with friends. Despite numerous appeals, millions of pounds in public donations and the backing of high-profile celebrities, the toddler has not been found. May 3 - Kate and Gerry McCann leave their three children asleep in their holiday apartment while they dine with friends at a nearby restaurant. At 9pm, Mr McCann checks on the children and reports that nothing is amiss. At about 10pm, his wife goes back to the apartment and finds Madeleine missing. Jane Tanner, one of the friends dining with the McCanns, reports seeing a man carrying a child earlier that night. May 4 - Sniffer dogs are brought in, the Spanish and border police and airports are notified and volunteers search the village, beach and resort. Fears grow Madeleine has been abducted and friends of the McCann's accuse the Portuguese police of not doing enough. May 14 - Detectives take in property developer Robert Murat for questioning and make him an 'arguido', or formal suspect. Police search the home he shares with his mother, just 100 yards from where the three-year-old vanished. May 30 - Kate and Gerry McCann meet the Pope in Rome. It was the first in a series of visits abroad to highlight the search for their child. June 3 - Author J.K. Rowling offers support to the McCann family. August 11 - Exactly 100 days after she disappeared, police acknowledge for the first time Madeleine could be dead. August 31 - The McCann's launch libel action against Tal e Qual - a newspaper that claimed the couple killed their daughter. September 7 - During questioning, Mr and Mrs McCann are made 'arguidos' in their daughter's disappearance. September 9 - Kate and Gerry McCann fly back to England with their two-year-old twins, Sean and Amelie. October 2 - The detective in charge of the inquiry, Goncalo Amaral, is removed after criticising British police in a newspaper interview. November 2 - Kate McCann makes a desperate plea for information on the eve of the six-month anniversary of Madeleine's disappearance. November 6 - Carlos Anjos, Chairman of the Portuguese Union of Police Detectives, says the McCann's have created a "monster of information" by seeking a high-profile press campaign. December 25 - On their first Christmas without Madeleine, Kate and Gerry McCann send an anguished public message to their daughter: "Our only Christmas wish is for you to be back with us again". July 21 - The Portuguese authorities shelve their investigation and lift the 'arguido' status of the McCann's and Robert Murat. July 24 - The Truth Of The Lie is published, in which detective Goncalo Amaral alleges that the young girl died in her family's holiday flat the day she went missing. He also takes part in a documentary for Portuguese television in which he said there was no abduction and the McCann's had in fact hidden her body. August 4 - Thousands of pages of evidence from the Portuguese police files in the exhaustive investigation are made public. May 1 - Kate and Gerry McCann release a computer-generated image depicting how Madeleine might look, two years after her disappearance. September 9 - A judge in Portugal bans further sales or publication of Mr Amaral's book following legal action by Kate and Gerry McCann. The injunction is upheld before being overturned on appeal. May 12 - On Madeleine's eighth birthday, Mrs McCann publishes a book about her disappearance. Scotland Yard launches a review into the case after a request from Home Secretary Theresa May, supported by Prime Minister David Cameron. April 25 - Scotland Yard officers say they believe Madeleine McCann is still alive. A new picture is released, showing what she might look like as a 9-year-old, and they call on the Portuguese authorities to reopen the case, but Portuguese police say they have found no new material. July 4 - Two years into a review of the case, Scotland Yard launch its own investigation into Madeleine's disappearance. They claim to have "genuinely new" lines of inquiry and identify 38 people of interest including 12 Britons. October 17 - Following a television appeal in the UK, Scotland Yard say they received more than 2,400 calls and emails from across the UK, Germany and Holland. October 24 - Portuguese police confirm a review into their original investigation uncovered new lines of inquiry, and reopen the case. November 27 - Metropolitan Police Commissioner Sir Bernard Hogan-Howe said British and Portuguese police should work together in their investigations. January 29 - British detectives fly to Portugal amid claims they are about to make arrests. March 20 - Prime Minister David Cameron says he will step in to the British investigation if they are held up by delays in the Portuguese legal system. June 3 - An area of scrubland close to where Madeleine went missing is searched by a specialist team using sniffer dogs. April 28 - A court in Lisbon orders Goncalo Amaral to pay Kate and Gerry McCann £209,000 each in damages over claims made in The Truth Of The Lie and bans further sales of the book. September 16 - The Government claim the investigation into Madeleine's disappearance has cost more than £10 million. 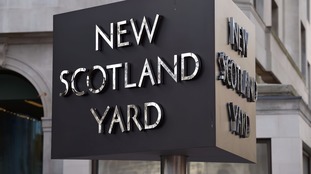 October 28 - Scotland Yard say their investigation team has been reduced from 29 officers to four. April 3 - Home Secretary Theresa May grants UK police Operation Grange £95,000 to continue for a further six months. April 19 - A Portuguese appeal court overturns Mr Amaral's libel conviction. January 31 - Portugal's Supreme Court rules against Kate and Gerry McCann's £418,000 libel claim and say Goncalo Amaral's claims in his book are protected by freedom of expression laws. March 11 - The Home Office grants Operation Grange an extra £85,000 to continue from April until September. April 25 - As the 10th anniversary of her disappearance approaches, Kate and Gerry McCann say it is a "horrible marker of time, stolen time" on the official Find Madeleine campaign website.